Hobbits & Hairdye: Goodbye October. I feel like October was over in the blink of an eye, before it had even barely begun. Autumn is my favourite of all the seasons, October is my favourite of all the months and Halloween is my favourite of all the holidays. It's safe to say that there was a lot of hype leading up to this magical month and now some bittersweet feelings as it is ending. Halloween evening itself was tame at best; Stranger Things and catnaps - not a halloween costume or trick or treater in sight. I'm such a huge fan of dressing up for Halloween and love to go all out for it, so I've loved getting to practice some spooky looks for next year. 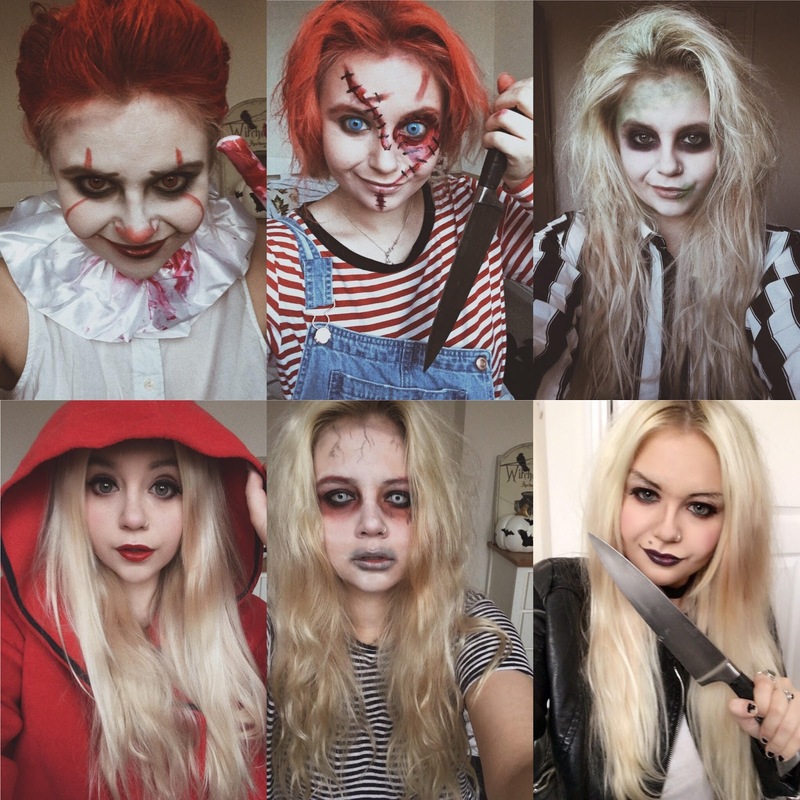 What's your favourite Halloween look? Five out of six of those spooky Halloween looks are super-scary, but in the Little Red Riding Hood outfit and makeup you look super-adorably pretty and cute!